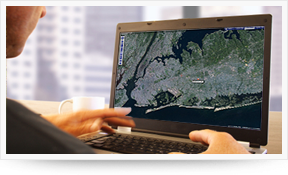 New York's premier GPS Tracking Company. With 24/7 web-based tracking at your fingertips, you’ll always know where your vehicles are. Take advantage of over 20 administrative reports, maps with satellite view, and a maintenance module to help you keep track of engine hours and scheduled service. 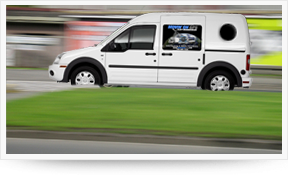 New York business owners depend on Movin’ On because of our unmatched customer service and qualified technicians. Say goodbye to automatic phone systems and sloppy technicians. Say hello to Movin’ On GPS! "We decided on Movin’ On because of the personal attention and genuine concern we received when collecting information. Our company knows it made the right decision. Our bills are always clear, and never contain any hidden fees or overage charges. In a time where there are many choices, it is good to know we can rely on Movin’ On for such a crucial piece of our business." "Dover Caterers has been specializing in catering events from 50 to 10,000 guests for over 100 years. Between servicing corporate clients, municipalities, and private functions, knowing the location of our staff at any given moment was essential. The pinpoint accuracy of Movin’ On’s GPS Fleet Tracking system has become a major component of our operation!" "Until we had your mobile monitoring system installed in our district Chief vehicles, our monthly fuel and maintenance expenses were astronomical. Immediately, all related costs were decreased and we then had a means of monitoring the non-fire usage, 24 hr. location and speeds that our vehicles were being driven. "Our existing GPS provider was giving us nothing but problems. Not only were their units unreliable, but getting them to repair the problems was like pulling teeth. When someone recommended Movin’ On GPS, we had to give them a try. They gave us a one month trial, and we decided to switch our entire fleet over. The price of their equipment was half what our old provider’s was, and they were there to install them the very next day. Since then, Movin’ On has responded to all of our concerns promptly—usually within 24 hours. Our expensive equipment is at the heart of our business, and putting it at risk is simply not an option! With Movin’ On GPS, we know our assets are safe." "I’ve been using Movin' On GPS for over 3 years and it’s been a pleasure to know where my limos have been, especially as our company grows and adds new vehicles. When I need additional units, Movin' On arrives to install them only days after my phone call. The system could not be easier to use and maintain." "We are very pleased with the system, it has been helpful and proved useful on many occasions. On the rare occasion we did have a problem, the staff has been responsive and quick to fix the problem. We look forward to expanding the program in the future as the budget permits." "Movin’ On GPS provides us with GPS reports that are easy and intuitive to use. The reports allow our company to be more efficient and prevent theft of services by allowing us to track our vehicles 24 hours a day, 7 days a week. We can prevent speeding as well as improper use of company vehicles. Bruce Cirillo has been incredibly responsive to any issues that have arisen with the GPS systems and has provided us with prompt, courteous service. Audio Command Systems has greatly benefited from the services that Movin’ On GPS has provided us with!" "As fleet manager of one of New York's premier HVAC service companies, monitoring logistics of service vehicles throughout the tri-state area had always been a daunting task. Tehcnician assignment has been streamlined with the help of the Movin' On GPS tracking system, both benefiting our clients and saving us time and money."